Since inception in 1989, the team at Reflex Panelbeaters and Spraypainters has provided outstanding services in panelbeating, spraypainting and vehicle repair. Our reputation is built on our customer satisfaction and specialised services. 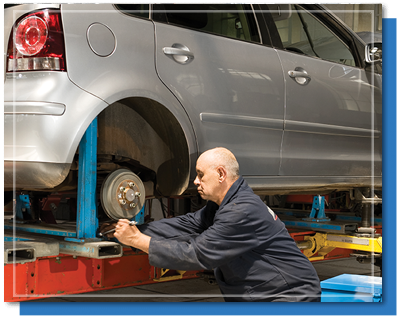 We treat every vehicle as if were our own and every customer with the respect they deserve. The majority of our team members have been with Reflex Panelbeaters and Spraypainters since inception and have formed a solid “Reflex Family” foundation. We are methodical in our staffing in the workshop and management; only employing the most highly trained and experienced technicians and support staff available. Being situated in Wadeville, South of Johannesburg, places us central to major highways allowing ease of access within the Gauteng region. The philosophy of Reflex Panelbeaters and Spraypainters is that of quality and service. To this end, our entire operation revolves around customer and vehicle care. With all staff embracing its philosophy, Reflex Panelbeaters and Spraypainters is leading the industry in the pursuit of unparalleled quality and service at a competitive price. Environmentally friendly disposal of waste material.